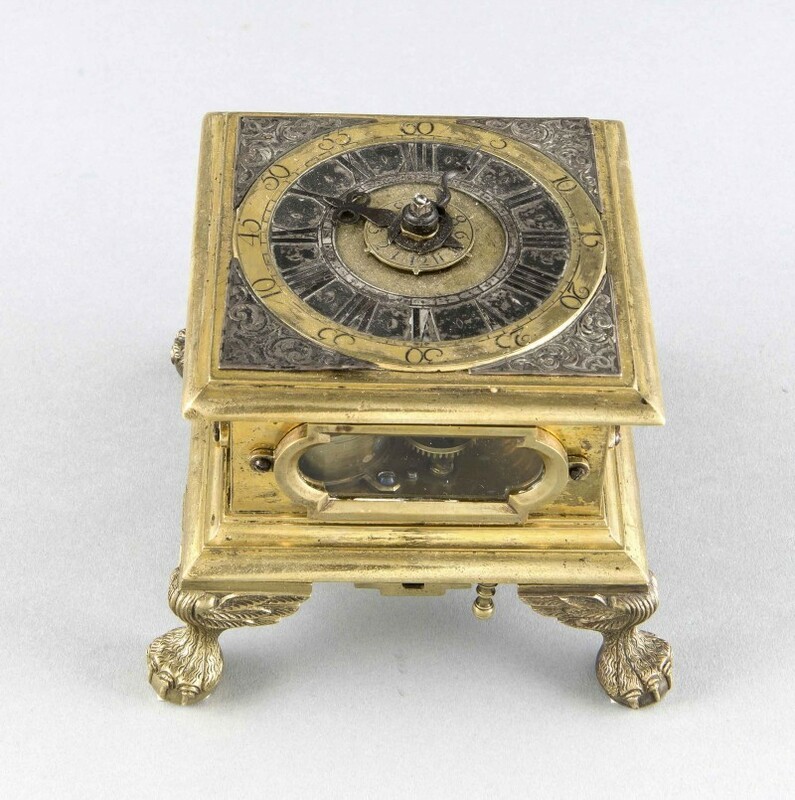 On 25th and 26th February Historia Auktionshaus will host their 124th auction. From Chinese craftsmanship to world-class art and diamond-set jewels Barnebys have selected impressive lots from the sale. Click on the pictures to check out the auction. Casimir Geibel (1839-1896), 'Harvest Festival in Thuringia' scene with multiple figures; revelers and musicians in a village community in front of the mayor’s house. The finely painted masterpiece exemplifies Geibel’s careful depictions of very detailed figures. Casimir Geibel studied at the Art School in Weimar from 1863 together with Arthur George von Ramberg, Ferdinand Pauwels and Albert Brendel. In the 1870s, Geibel combined evocative landscapes with genre scenes in his work, especially market and harvest motifs, making him a valued painter. Between 1870-1892 his paintings were prominently represented in the Berlin Academy exhibition and at the Glass Palace in Munich including 'Harvest Festival' in 1887. Oil on canvas, reg. and signed, 80.5 cm x 112.5 cm, framed 94 x 127 cm, listed in: Boetticher, Vol I / 1, p 386 f., No. 37 (issued in Hamburg and Berlin 1887) Provenance: acquired in 1977 from an art dealer’s shop B. Koestler, Munich. Estimate $18,400. 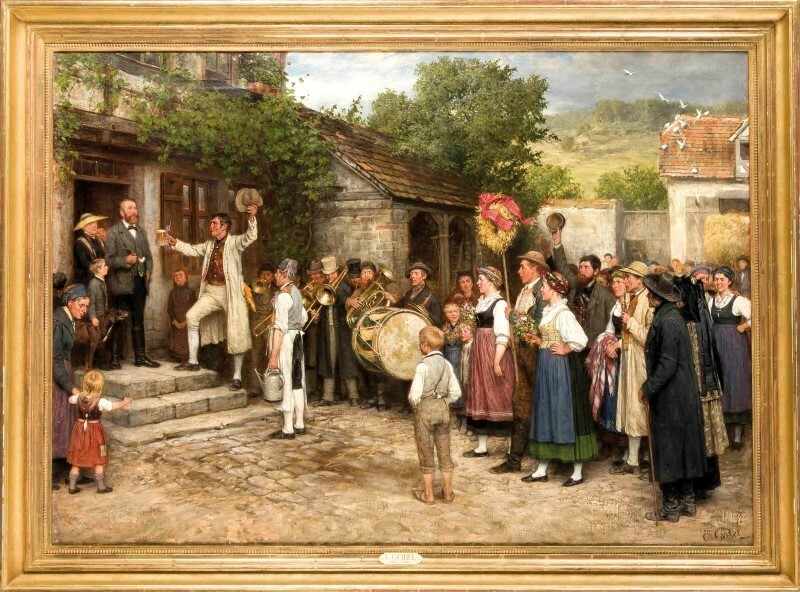 Casimir Geibel (1839-1896), Harvest Festival in Thuringia features revellers music making in the village community in front of the mayor's house. Casimir Geibel studied since 1863 at the Art School in Weimar at Arthur George v. Ramberg, Ferdinand Pauwels and Albert Brendel. In the 1870s, Geibel combined evocative landscapes with genre scenes in his work, especially market and harvest motifs, making him a valued painter. 1870-1892 he was widely represented in the Berlin Academy exhibition and at the glass palace in Munich with paintings, including 1887, Harvest Festival. 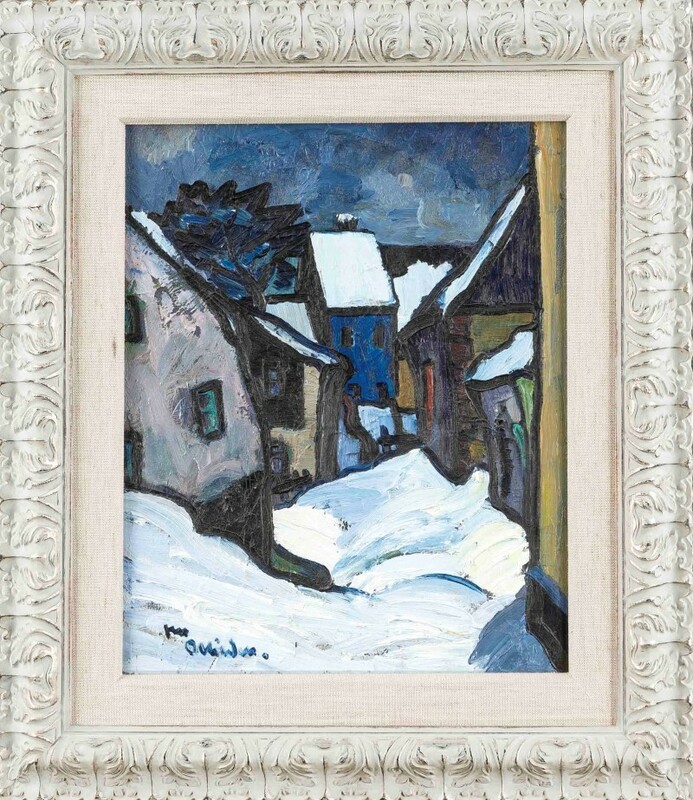 Unidentified Expressionist, early 20th c., snowy village at night, interesting composition with broad strokes and dark contours, oil on cardboard, signed in lower left corner, difficult to read, 50 x 40 cm, framed 73 x 63 cm. Estimate $1,500. Unidentified Expressionist, first half 20th century, Snowy Village at Night. An interesting composition with broad strokes and dark contours. Andries Both Dircksz (ca. 1608-1641) (attrib. ), dutch Painter. Etcher, born in Utrecht, was a pupil of Abraham Bloemaert. He toured France and Italy, and is known for his somewhat uncouth genre scenes in the tradition Brouwers. 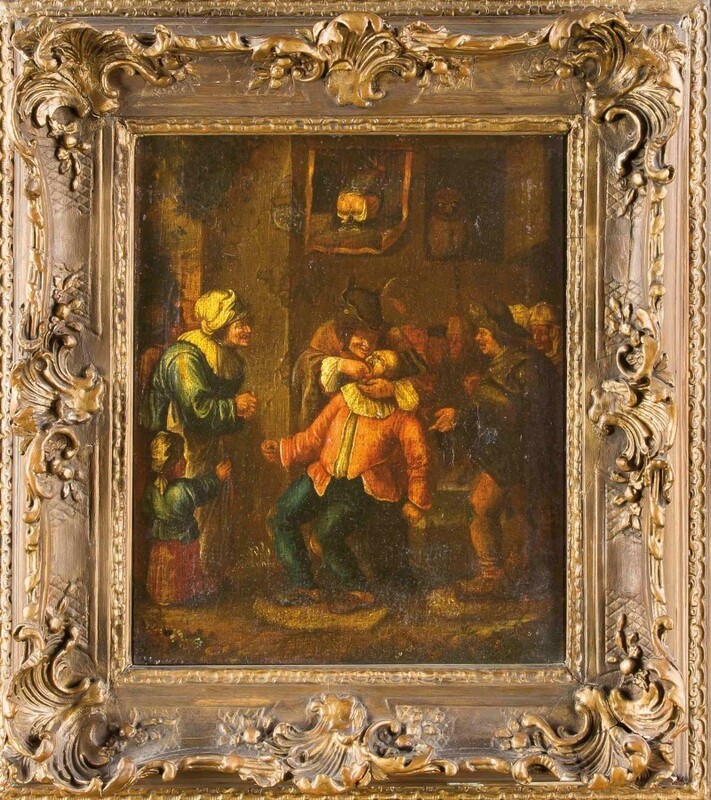 This is a version of his Dentist , of which several variations have been attributed to him. His brother Jan Both etched a sequence of the Five Senses in which a very similar composition of this work represents feeling. The group of figures in the image above features grotesque details including an owl in a window as well as the image of a crouching figure with a tapeworm. Lotte Laserstein (1898-1993), a major representative of the New Objectivity was born at Königsberg castle. 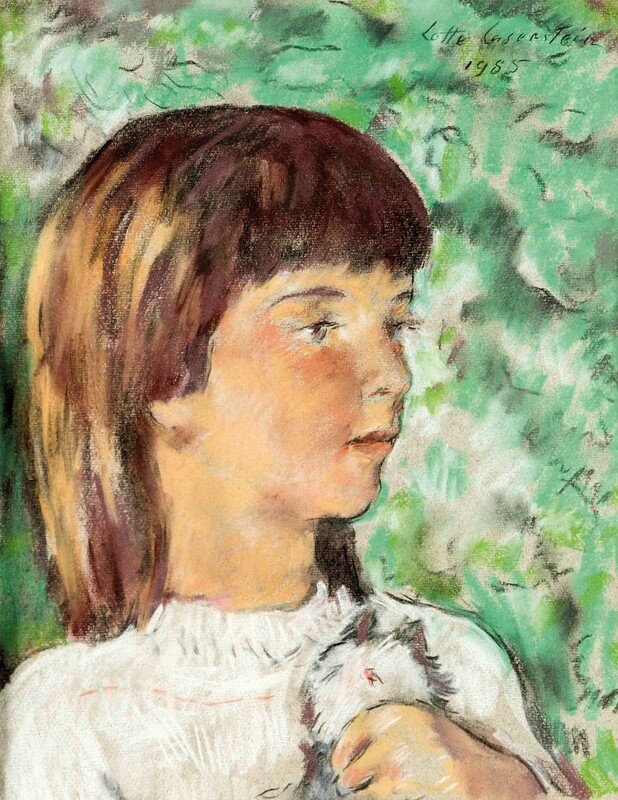 Lotte Laserstein finished her studies in 1927 at the United State Schools for Free and Applied Arts in Berlin (Vereinigten Staatsschulen für Freie und Angewandte Kunst in Berlin ) as one of the first women with honours. Then in 1937 she was exiled to Sweden. 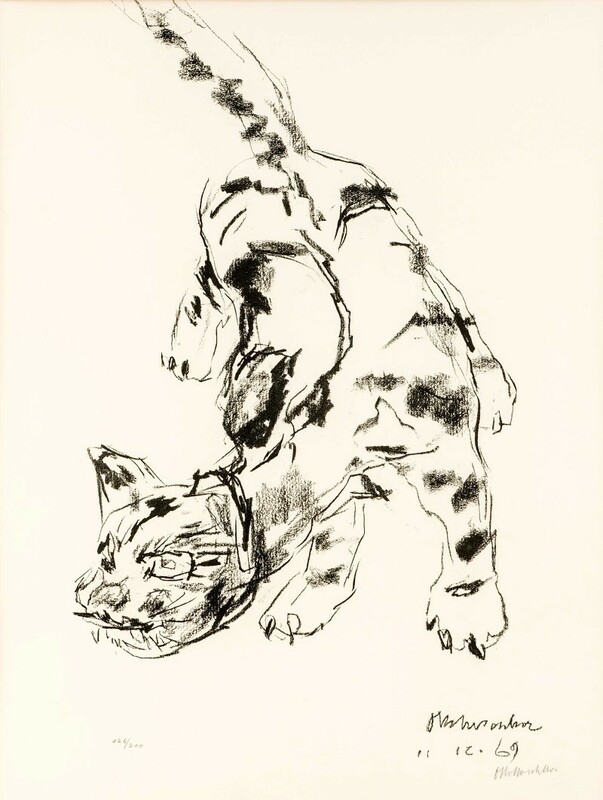 Oskar Kokoschka (1886-1980) Tiger Cat, lithograph on Arches Vélin paper, 1969. Picasso pitcher Visage, Madoura, featuring manufacture stamp, impressed mark 'Edition Picasso' and brush brand 'Edition Picasso 207/300. 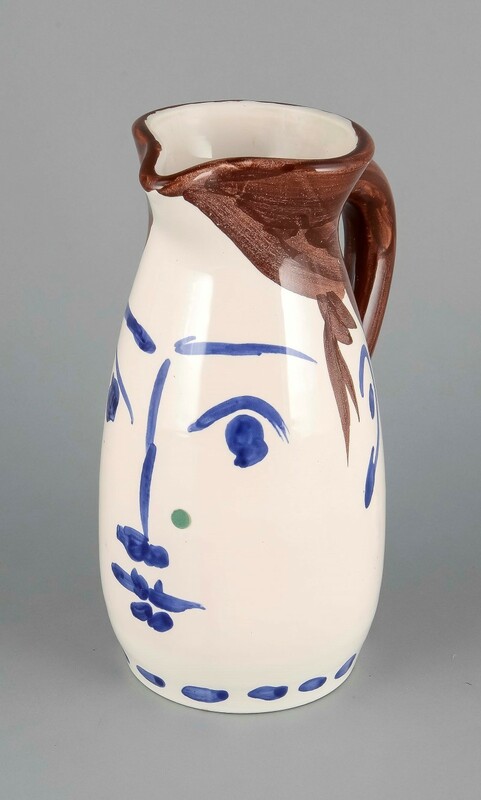 'Madoura' design by Pablo Picasso (Málaga, 1881 - Mougins, 1973) around 1959, jug with white glaze, painted in blue and brown in the shape of a woman's face. Chinese Cabinet ca. 1920. 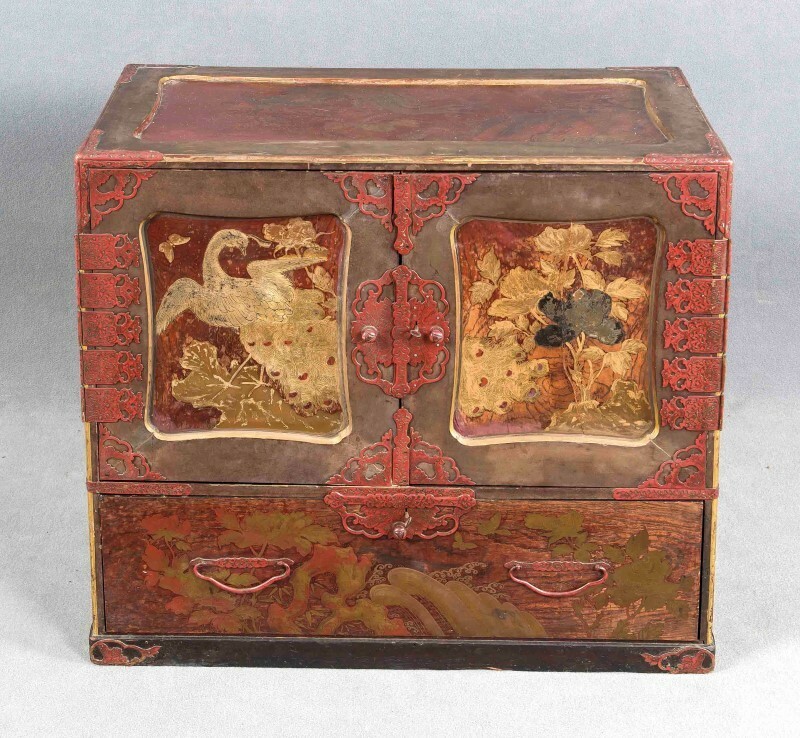 All-sides are painted with traditional Chinese decoration and features two doors and a drawer, and interior with 7 drawers and drawers lacquered black with floral decoration. 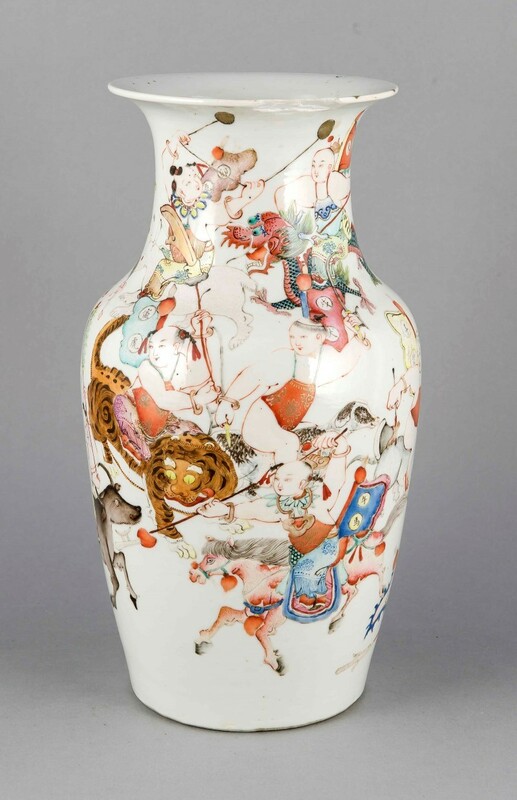 Vase, China, probably 19th century, all-round polychrome painting in enamel colors, fighting Chinese on horses, tigers and roosters. 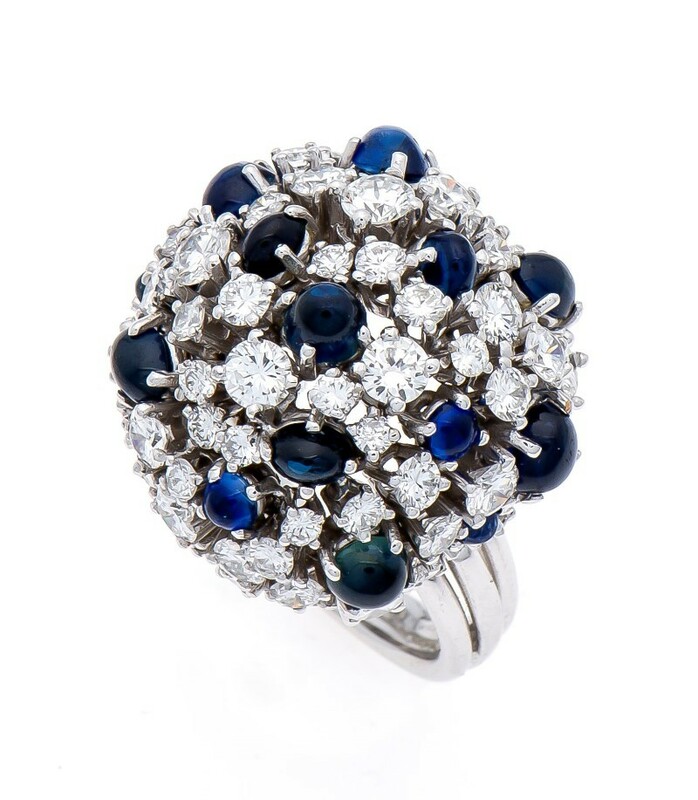 Sapphire diamond ring with 14 fine Sapphire cabochons, totalling 3.22 carat and a very good colour with 81 brilliant-cut diamonds, totalling 3.97 carat by jeweler C. Ernst in Wiesbaden. Model by Johann Joachim Kaendler 1745-46 from the series '' The Four Continents .'' European, probably Meissen, 18th century. 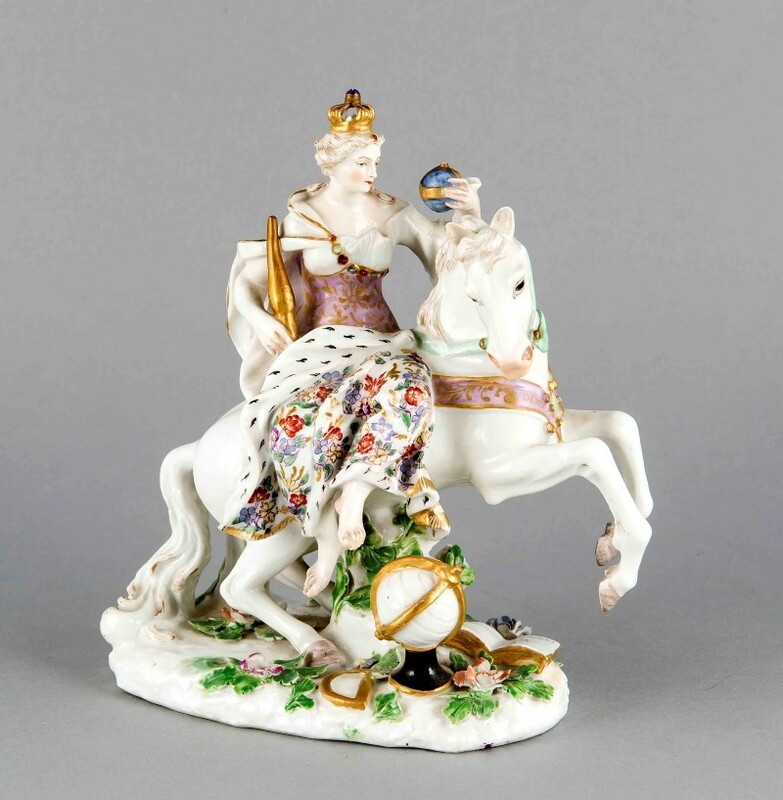 The piece is an allegory of the continent of Europe in the form of a female figure in ornate coat with a crown, scepter and orb, plus white steed, globe and book, model of the "tsar commission" of Catherine the Great. The allegory of Europe with the imperial insignia is also a glorification of the consignor, an almost identical copy is in the Hermitage in St.Petersburg. 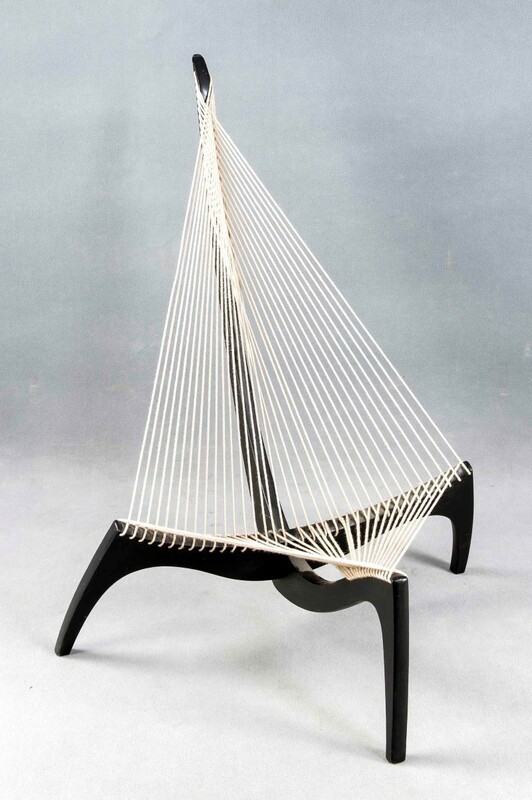 Harp Chair designed by Jörgen Hovelskov 1963,probably with Christensen & Larsen. Black-stained ash wood, lining of ropes and without a company logo. Songbird Machine, German, circa 1920 by J. Kurz & Co., Hanau. 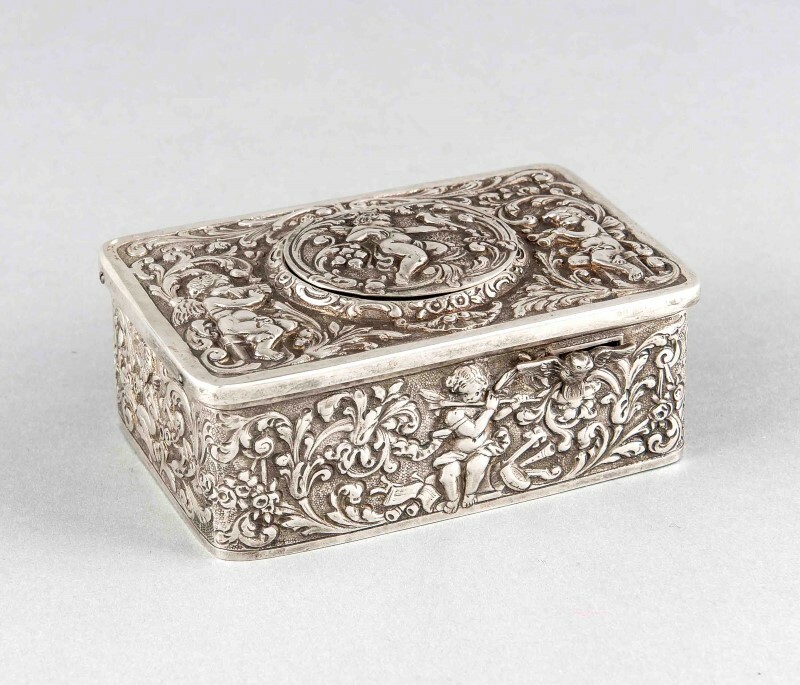 Sterling silver in a rectangular case with rich relief decoration, floral and putto motives, front with sliding mechanism, cover with spring lid, including mechanically moving bird, functional, with a beautiful voice, sawn out cartridge, complete with key. Styrian sword around from 1600, double-edged, flexible blade, asymmetrical guard with guard ring and lateral brackets and with a hilt covered with fine mesh iron mesh. Find the full catalog here!